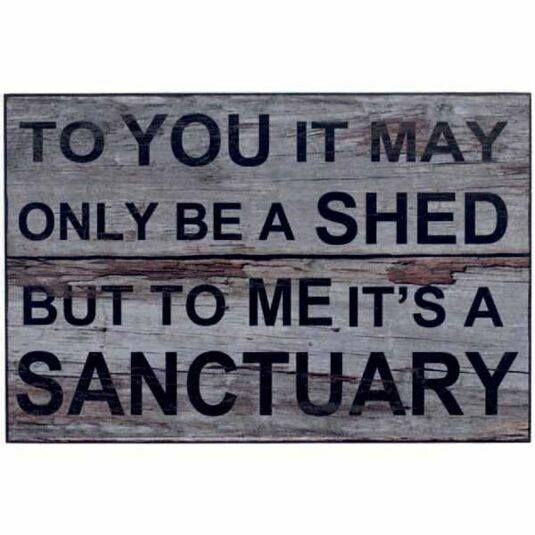 We all like to have a room we can call our own, somewhere to disappear off to when you need a little 'me' time, and for some that is the shed. Often filled with many things that only the owner will be able to find, it is still an important room for some, and a complete no-go area for others. The sign comes equipped with a picture hook on the back for easy hanging and is sure to make a fun addition to your room.